Posted September 5, 2014 by Alexis Talbot-Smith & filed under Arts & Entertainment, Movies. 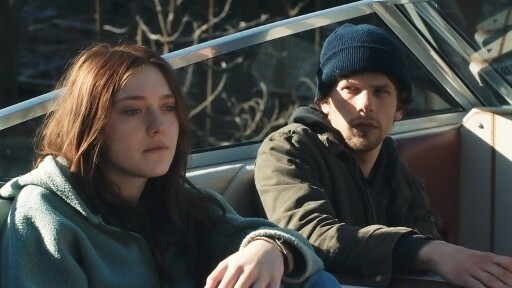 In Kelly Reichardt’s Night Moves three eco-activists living on the fringes of society plot to blow up a hydroelectric dam in protest against environmental devastation. But unexpected consequences start to make them question whether a noble cause can justify amoral actions? This is a film overflowing with taught anxiety. The first half slowly builds with anticipatory tension, as viewers discover each character’s motives and watch them prepare and execute the plan. However, the rising tension dissipates in the aftermath; sitting at one level, tension alone is not enough to sustain an audience. Nevertheless, Reichardt and cinematographer Christopher Blauvelt, treat what is essentially a suspense film with the stillness and observational beauty of an indie film – a highly interesting combination.